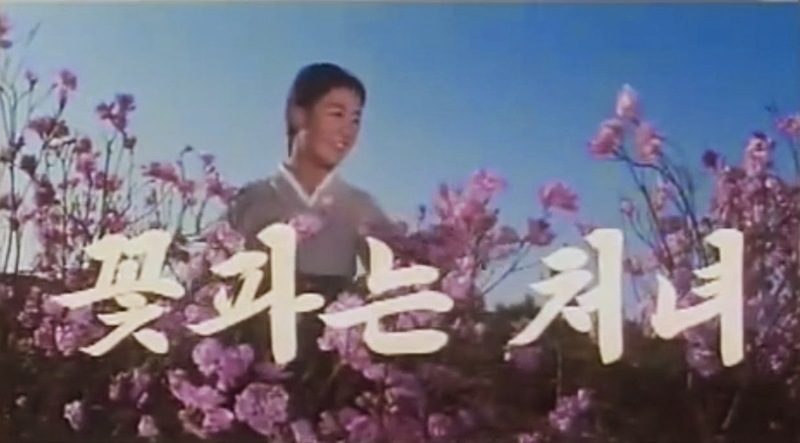 The flower girl of the title, Koppun, roams about bucolic hillsides picking azaleas and singing about selling them to afford her mother’s medicine. At home she is beaten and berated by the family’s cruel landlady, while unsuccessfully trying to shield her blind sister, Sun Hi, from the realities of their plight. Their income is further reduced following the unjust arrest of her older brother. Koppun finally saves enough for the all-important medicine just in time for her mom to die, leaving the sisters orphaned. 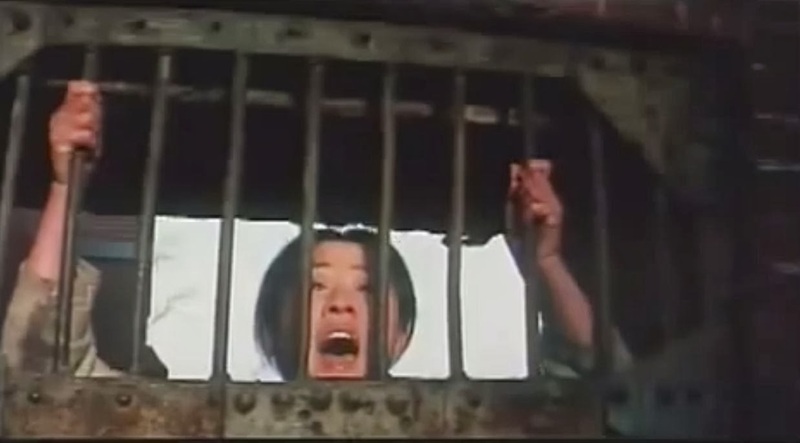 Koppun, thinking things can’t get any worse, wears out three pairs of straw sandals on the 175 kilometer journey to her brother’s jail only to be informed by a guard of his death. She almost hurls herself from a precipice in despair, but determines to carry on for the sake of Sun Hi. But in her absence the landlady grew sick and delusional with guilt, and her henchmen superstitiously blame the blind girl, believing her possessed by her mother’s angry spirit, and lure her into the snowy mountains to die of exposure. Koppun finally snaps and has to be bound and gagged by the remorseless enemies of the people before the tide abruptly turns: her brother (escaped from prison) and sister (rescued by a kindly hermit) miraculously show up alive and they rally their fellow peasants to rescue Koppun, throw off the shackles of Japanese occupation and build a new society free of corruption, capitalism, and exploitation. While The Flower Girl isn’t actually good, it is interesting. 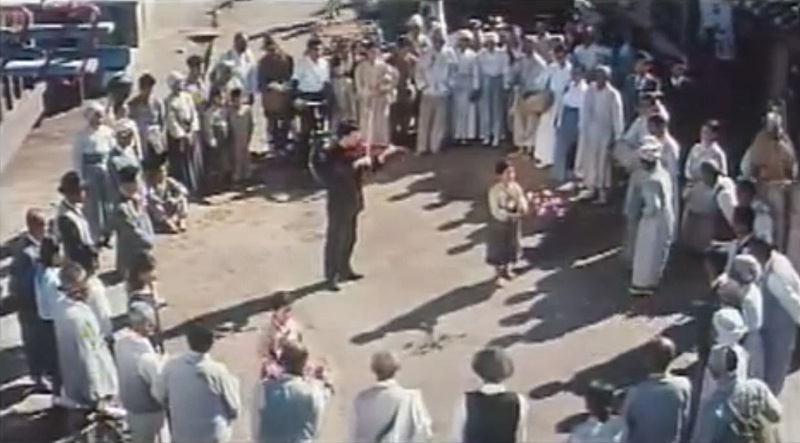 There are few examples of cinema under North Korea’s notoriously restrictive regime, and this one provides some insight into the now stone dead genre of Revolutionary Opera, which was once the sole theatrical option for almost a billion people. China’s “Eight Model Operas” (including the much more polished and entertaining Maoist ballet The Red Detachment of Women) from the Cultural Revolution are more famous, but North Korea produced five of their own, ostensibly written by supreme leader Kim Il-Sung himself, of which The Flower Girl was the most cherished. Revolutionary opera broke with traditional opera styles like Peking and Cantonese, and focused on pro-communist themes and proletariat collective heroes, often forgoing romance completely. Flower Girl’s adaptation of its source opera is more melodramatic than melodious, with short solo musical numbers doled out at irregular intervals. The libretto consist of simplistic emotional sentiments (although is that really so different from opera and even pop music anywhere?) that, though repetitive and predictable, are sung soulfully and with talent by lead actress Hong Yong-hee. She was rewarded by appeared on the 1 won North Korean banknote until it was made obsolete by hyperinflation in 2009. However, despite the sympathetic central performance, the story of an innocent young girl toiling and suffering until final redemption is a little too familiar and far too drawn out. The propagandistic agenda busts in at the last minute too jarringly for even the most receptive audience to find convincing. However, it is interesting to note that, until the final act, this could almost be a film from anywhere. In individualism-oriented America Koppun would either be saved by a dashing lover or by her own pluck and resourcefulness and in your typically dour European art film she’d simply be left to die tragically. Perhaps it’s just a minor tweak of political convention that The Flower Girl instead ends with her being blissfully whisked away by a spontaneous nationalist peasant revolt. 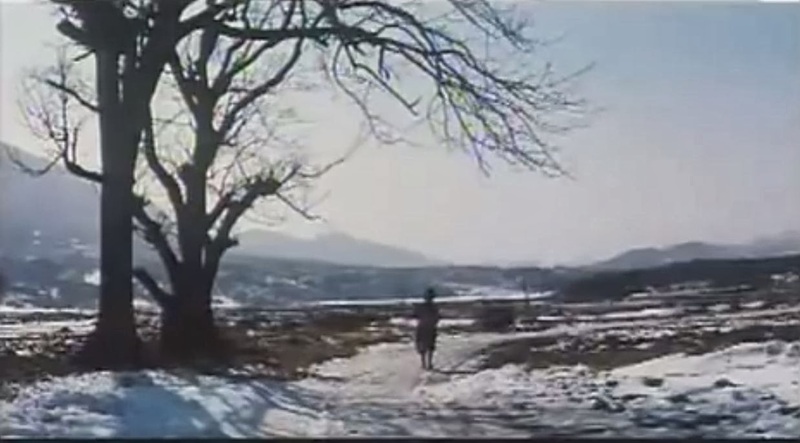 At least, as the film descends deeper into mediocrity and narrative nonsense, the camerawork actually gets more interesting, with some vintage in-camera split-screen and several touching snow-laden tableaux. Since I'm sure when else I'd be able to bring it up, I can't resist mentioning some 'alternative viewing' that, though less representative of North Korea's play at critical recognition, is arguably a lot more fun: Pulgasari. Pulgasari is a schlocky monster movie with a backstory as strange as the film itself. South Korea's A-list director Shin Sang-ok and his ex-wife were kidnapped by North Korean dictator and self-professed fan Kim Jong-Il in 1978 and, after four years in prison, were forced to make a series of propaganda films to promote North Korea abroad. Before he escaped to Vienna Song-ok created 7 films, including the rarely-seen Kaiju (giant monster) sci-fi parable that is Pulgasari. It tells of a dying prisoner who uses the last of his rice ration to mold a dinosaur doll that, after being given life by a drop of blood, begins ravenously munching metal. Like capitalism, Pulgasari grows rapidly and helps overturn fuedalism, but continues consuming well beyond its country's resources and finally turns on the working class it once swore to protect. An important lesson for us all.